Okieladybug's Scrap N' More: What's cookin good lookin?? HA HA HA HA *okie knows by now that she only cracks herself up, but continues to do so because she likes to laugh*. 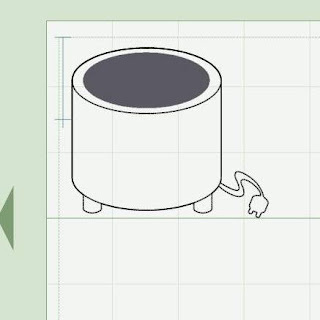 I made a CROCKPOT at the request of a Cricut messageboard member. She was wanting it for a recipe swap she was in. Since enough time has passed and the swap is certainly over I thought I would post the file on my blog for download. There are a couple of mats to this one and they are all labeled. Wow, Okie, that is awesome... thanks again for sharing. LOVE the crockpot Okie! TFS! Thank you for the great crockpot Okie!! This is a great cut file. We all use our crockpots and love them, at least I do. Thank you so much for being so generous with your time and talents.